Low-fat replacements for traditional extras can dramatically lower your caloric intake. You can still eat your favourite foods. Just swap unhealthy key ingredients for healthy alternatives. Many people incorrectly believe that fat-loss foods are bland, tasteless and dry. These are the same people who are preconditioned to believe that a burger unwrapped after weeks of feedlot cattle torture is the height of fine dining. If you contemplate smart cooking techniques for preparing meals, you can come up with healthy dinner solutions that fire-up flavor without adding fat or calories. You might surprise yourself and enjoy the new diet-friendly version more than the previous fat-infused versions. Here are some big dinner dos and don'ts to keep in mind so your evening meal abides by the guidelines of the rest of your diet. Dial it in tight. One of the biggest gut bombs at dinner isn't what touches the plate, but all the junk piled atop that nutritious food. 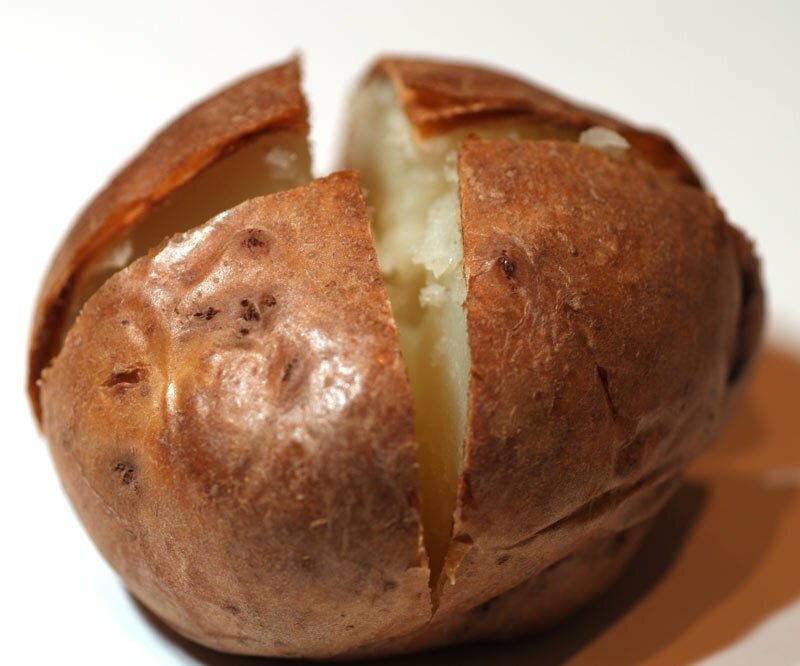 A baked potato may be low in fat, but the sour cream and bacon bits just add a sad fat twist to a healthy snack story. Top potatoes with salsa, low-fat cottage cheese and green onions. This healthier option is lower in fat, yet still provides plenty of flavor. If you typically pour gravy on your turkey dinner, choose chutney instead. The combination of fruits and/or vegetables adds fresh flavor to poultry dishes. Quarter your calories by choosing healthier toppings. Avoid excessive bread consumption at dinner for many reasons. First, you eliminate high-glycemic carbohydrates that increase the release of insulin, a fat-storage hormone. When you grab a slice of bread, you are tempted to butter it. 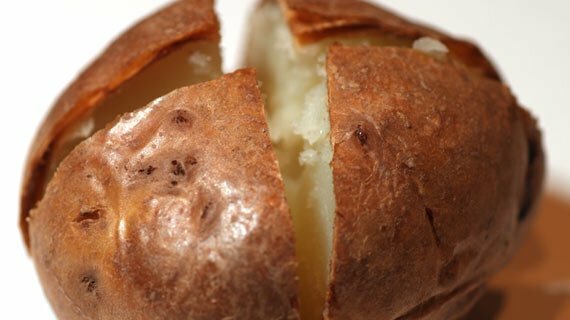 The combo of carbohydrates with smears of butter adds sure-fire body fat. A simple way to cut fat and save calories is to swap oil for chicken broth. Chicken broth works well with stir-fry and can be used in many sauces. Broth is slightly thinner than oil, but that won't matter in several recipes. Because it adds moisture to food, chicken broth works great if you regularly prepare casseroles. Chicken broth also replaces butter on mashed potatoes, reducing the overall fat content. Especially around the holidays, limit cheesiness to family photos. Resist the temptation to pile heaps of cheese atop meals. Adding more than a quarter cup per meal increases fat and calorie content to the level of a diet destroyer. 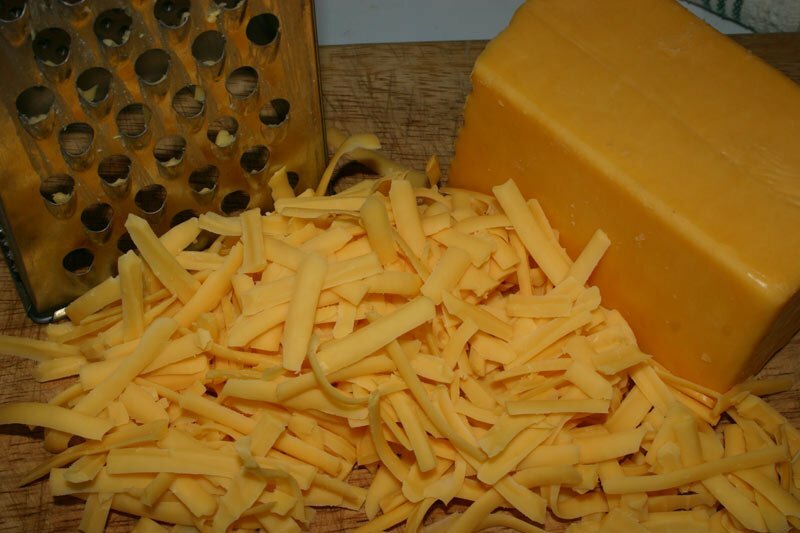 If you eat a small amount to abide by a recipe, make sure it's low-fat cheese. "Hold the cheese, please. I want to shed weight, not shred the ched!" Opt for low-fat parmesan over other cheeses for holiday damage control. 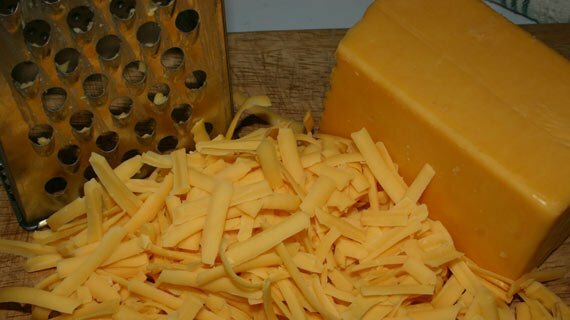 Parmesan contains higher protein content. A small sprinkling goes a long way toward enhancing taste and texture. If a recipe calls for ground beef, consider using ground turkey as a stand-in. This tasty alternative is lower in fat content than ground beef and can be a direct replacement. You can make ground turkey burgers, meatballs or prepare a casserole. Leftovers would be turkey's middle name … if turkey had a last name ... Turkey "Leftovers" Johnson. Never mind. Ground turkey cooks slightly dryer than ground beef, because the lower fat content. Consider adding a few tablespoons of chicken broth to boost the moisture level. 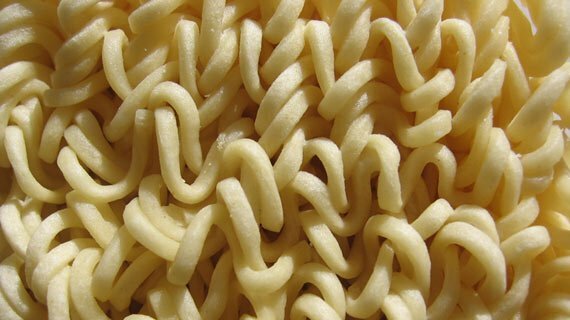 A major mistake many make, aside from excessive alliteration, is swapping regular noodles - a good move - with ramen noodles. If you prefer thin pasta texture, you're far better off using angel hair pasta before ramen noodles, which are high in fat. 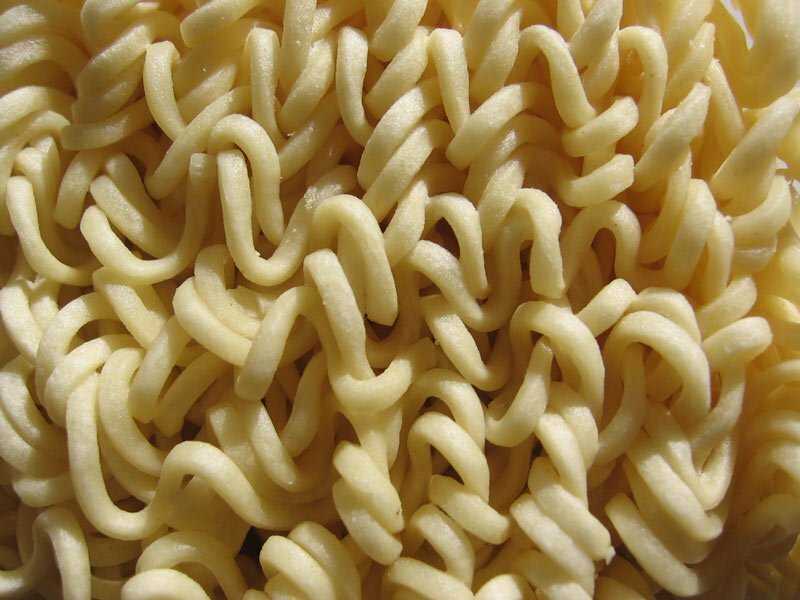 Typical noodles are high in carbohydrates and calories, but ramen noodles are high in calories, carbohydrates and fat. A single serving contains up to 20 grams of fat. Oodles of noodles? More like mounds of pounds! Steer clear of fat-adding demon dishes whenever possible. If you want to make serious progress, replace pasta with spaghetti squash; it offers a pasta-like texture, but is far lower in calories. Keep these dinner do's and don'ts in mind for your next meal. It's crucial to take a close look at the ingredients in your meal and how it's prepared. A few small changes can improve the nutritional quality of a meal without significantly impacting the taste. Choose Your Own Diet Adventure-3 Fitness Goals, 3 Meal Plans!